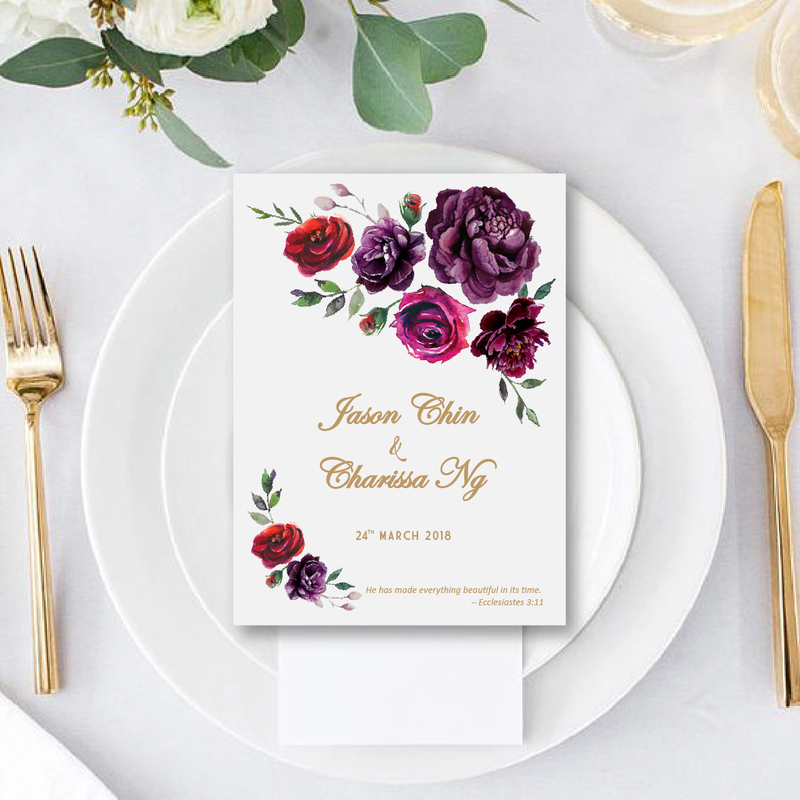 Watercolour flower program card designed specially for Charissa and Jason from Kuala Lumpur to match their wedding theme. They prefer to custom a new design with watercolour flowers in dark lilac with maroon red and some green leafs. This card is printed both sides, front and back on quality matt art card 260g card stock with the size of 5 x 7 inches. 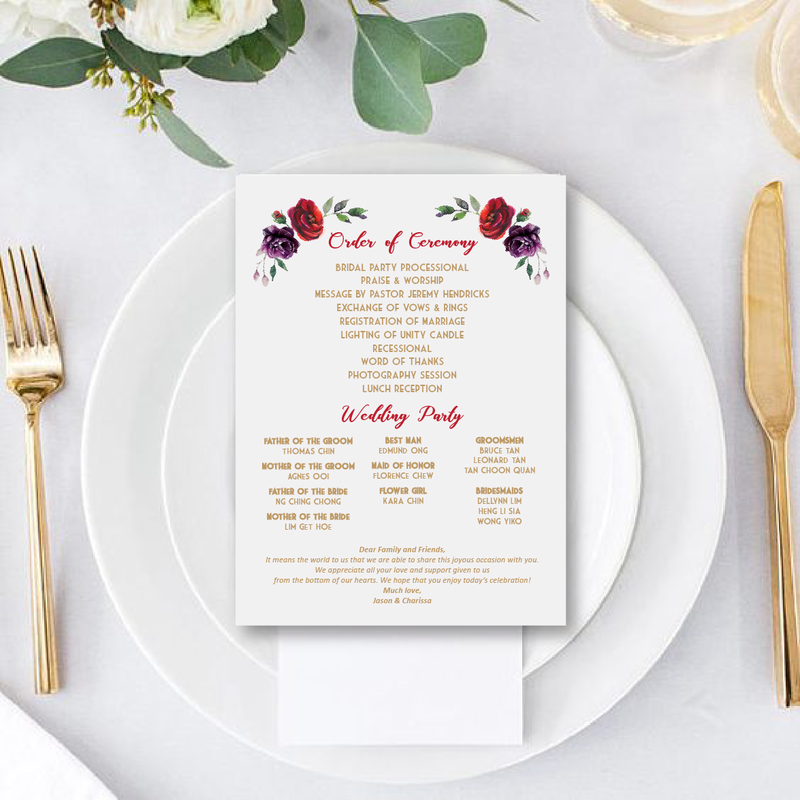 The back of the card is listed with order of ceremony and wedding party.